Two years after taking office, President Raul Castro widened the niche for private enterprise in Cuba’s state-dominated economy. Capitalism came pouring in. Slowly at first, then gaining speed, spare rooms for rent became rental homes, which became boutique hotels. Backyard cafes became elegant restaurants and bustling nightclubs, backed with millions in capital from the prosperous Cuban diaspora in Miami, Latin America and Spain. English tutors started citywide private after-school programs. And the booming private economy reached into the Communist-led bureaucracy — paying off inspectors, buying stolen state goods and recruiting talented employees with salaries dwarfing those in the public sector. Eight years later, on the verge of leaving office, Castro has thrown the brakes on private enterprise in Cuba again, warning of the rapid pace of change and criminal activity. The decision has raised fundamental questions about the nation’s economic path. 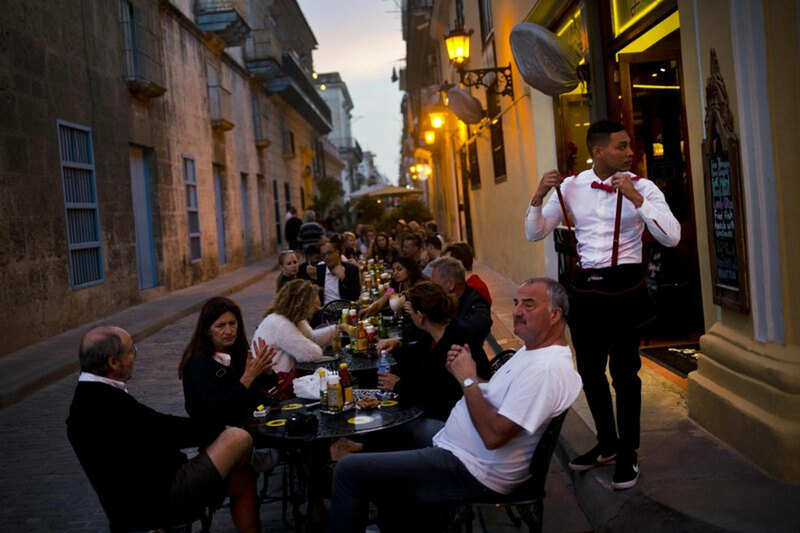 The Cuban government proclaimed in August that it was putting a temporary halt on new licenses for bed-and-breakfasts, restaurants and other businesses until it could issue new regulations to control illegality. Entrepreneurs whispered about new regulations coming in a month, maybe two. But summer stretched into fall, fall into the new year, and six months later, Cuba’s private economy remains frozen. The state-run economy responsible for 70 percent to 80 percent of GDP is stagnant. A once-promising worker-owned cooperative sector has shown little recent growth. Cubans are increasingly wondering when the private economy will be allowed to grow again, and, more broadly, how their government intends to deliver on promises of a sustainable, prosperous socialist system. The freeze has led to a slowdown in private investment in Cuba at a time of economic fragility and uncertainty. The flow of subsidized oil from Venezuela is dropping as its economy collapses. In 2016 Cuba had its first recession in 20 years and growth last year was 1.6 percent, meaning the economy has remained essentially flat for two years. U.S. tourism, a bright spot, is dropping in the wake of new U.S. restrictions. The number of self-employed Cubans has grown from 157,000 in 2010, the year of Castro’s reforms, to 567,000 at the start of last year, roughly 12 percent of the workforce. “Self-employed workers aren’t asking for neoliberalism or political change, just that they let us work,” said Camilo Condis, a 32-year-old industrial engineer who rents out an apartment and has a license to work in a restaurant. Entrepreneurs interviewed by The Associated Press said they and relatives who backed them from overseas were canceling plans to invest in new or expanded businesses. In 2010, the Cuban government began allowing 201 types of self-employment, from child’s party clown to real-estate agent. It started issuing licenses for other categories — like restaurant and bed-and-breakfast — that were approved by Castro’s predecessor and brother Fidel during Cuba’s post-Soviet crisis in the 1990s, then frozen again for years. Some categories of self-employment became vehicles for small businesses with dozens of employees. Their owners’ conspicuous consumption became a source of social tension in a country where the average salary still hovers around $25 a month. A month later, licenses were frozen. Over the fall, about six successful private restaurants were closed after police raids. No information has been released about the seizures but such operations typically occur in cases where officials suspect serious crimes like drug use, money laundering and large-scale buying of stolen goods. The government has also gone on the offensive against pervasive tax evasion, pressuring foreign-owned employers to report their Cuban employees’ incomes, and conducting government assessments of taxes on property sales instead of depending on buyers and sellers to report prices, a notorious source of tax evasion. Vice President Marino Murillo, the man who oversees Cuba’s economic reforms, told the assembly in December that Cubans would no longer be able to hold more than one self-employment license, meaning Condis, for example, could no longer rent out an apartment and work in a restaurant.